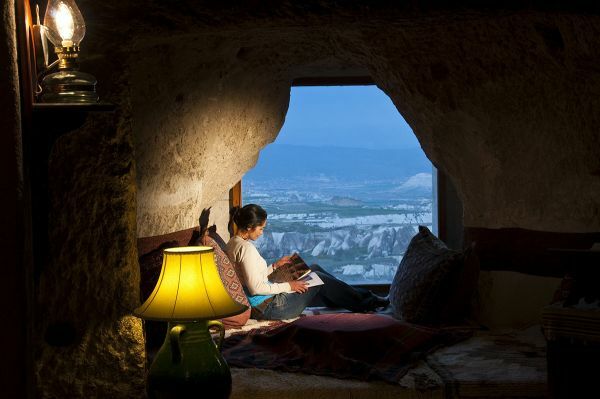 This room is one of the most special rooms at Museum Hotel and, of course, Cappadocia. 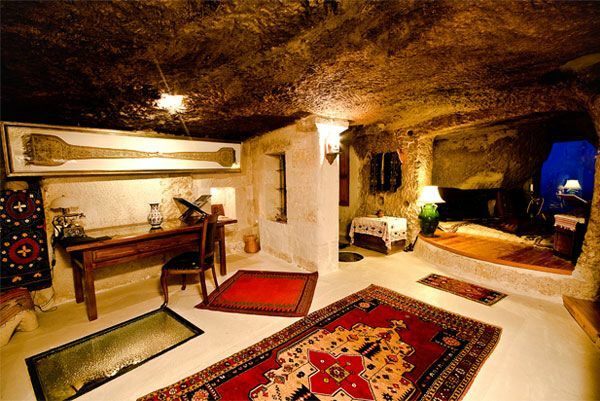 You reach the room via its private cave tunnel, and once inside you’ll witness the most splendid view of Cappadocia from both the bathroom and the living room, from where perhaps you’ll indulge in smoking your water-pipe while you enjoy the magnificent surroundings. 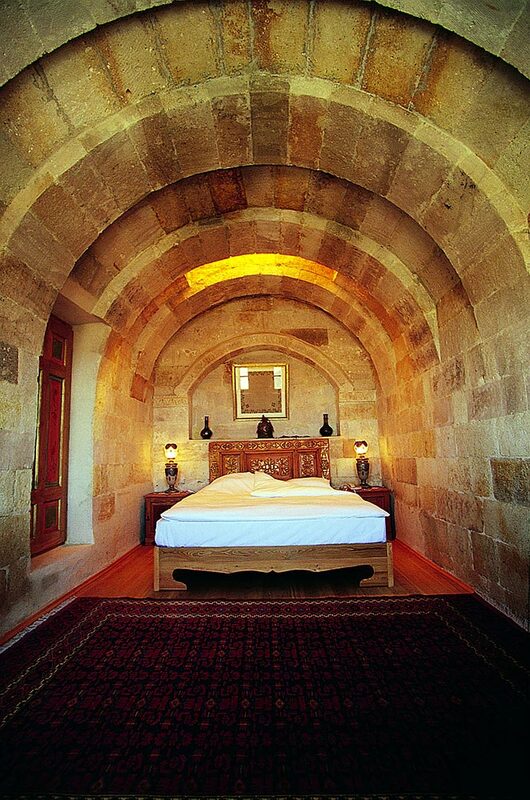 The bedroom features one of the best examples of traditional stone workmanship and has a ceiling window through which you can watch the sky. The stars have never been closer. 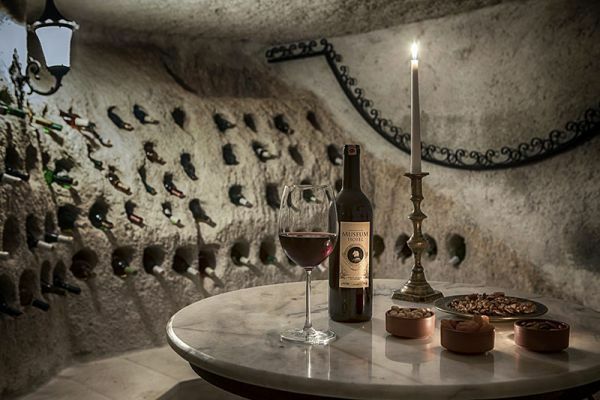 There is a private wine cellar in the room, stocked with local wines, as well as a carpet weaving loom, an original tandoor (underground oven), and the ruins of a chapel discovered during the excavations. 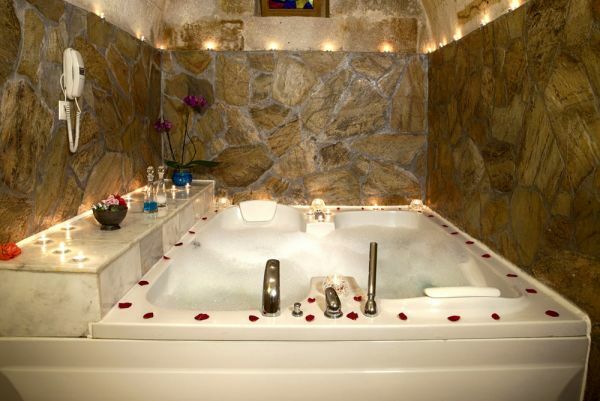 The room has also been decorated with priceless antiques. If you want to release the royal spirit inside you, in harmony with nature and art, then the “sultan” awaits you in this rare room.